I am the owner and sole practitioner of a small animal hospital. Over the past 20 years, I have conducted dozens, maybe hundreds of interviews, but that doesn’t mean I enjoy it or that I’m good at it. Actually, managing employees is one of my least favorite aspects of practice ownership. My practice has had periods of low-staff turnover, and periods where I just kept losing employees one after another. I recognize this is something I need to improve, but I absolutely despise interviewing applicants and clearly I’m not very good at it. Are there any tips you can give me that would make this process a little easier for me and hopefully help me select a more suitable candidate? I worked with a practice owner who felt exactly the same as you about interviewing. He would ask vet techs to “come in for a chat” and wouldn’t even specify the time of day. Somehow, they would always come while he was in surgery. So he would just talk to them while performing a dental procedure or similar. It was a really pleasant experience for both parties, precisely because it was so informal. Needless to say, it wasn’t a thorough recruitment process and didn’t always yield the best results. I remember he once hired a vet tech because her uncle was a clown at the circus, and he thought that was really interesting and wanted to learn more. True story! You can read a million articles that give you interview guidelines, but I’m going to try to give you a few vet­-specific tips that have helped me in the past. Try them out, and see which ones work for you. I truly believe you have to find an interview ‘style’ or technique that works for you — one that reflects your personality and comes naturally to you. If conducting interviews is not a pleasant experience for you and you dread it hours in advance, it’s best to schedule all interviews on the same day and get them out of the way. It will also help you build momentum, so by the time you’ve completed the second interview, you are warmed up for the final one. This will also reduce the likelihood of you running late in surgery or consults and stressing out about having applicants waiting. Just remember to give yourself 15 minutes between interviews. If you give yourself three hours to conduct three interviews, this should realistically give you 45 minutes per interview and 15 minutes buffer time in between them. The reason I say three interviews is because I believe if you screen the resumes well and conduct a quick phone call prior to inviting the applicant in for an interview, you shouldn’t have to meet face-to-face with more than three people. This sounds trivial, but I really believe this will help you, particularly if you get nervous or tongue­tied in interviews. Read the resume one final time just before the interview. You’ll go in feeling a lot more prepared and like you know something about the person already. Write notes on the printed resume — I circle things I find particularly interesting, draw question marks next to things that require clarification and write specific questions I want to ask about their skills or experience. Having something in front of you that you can look at during the interview will take some of the pressure off you. If there is a pause in the conversation and you’re not sure what to ask next, referring to the resume will make the break seem far less awkward. As you can see, these tips have far more to do with preparation than with actual interview questions. Communicating the agenda will provide a nice introduction into the interview and will help make you and the candidate feel at ease. Doing this achieves a few things — the applicant knows approximately how long the interview should last, so they are less likely to talk way too much and cause you to be late to the next interview! They now know what to expect, so you will see them immediately relax a little. This will also make you more relaxed! Tell me more about that role. What was that like? Why did you leave that position? What did you typical day there look like? These aren’t ‘tricky’ questions recruiters often ask. There is nothing that says you need to throw the candidate curveballs. 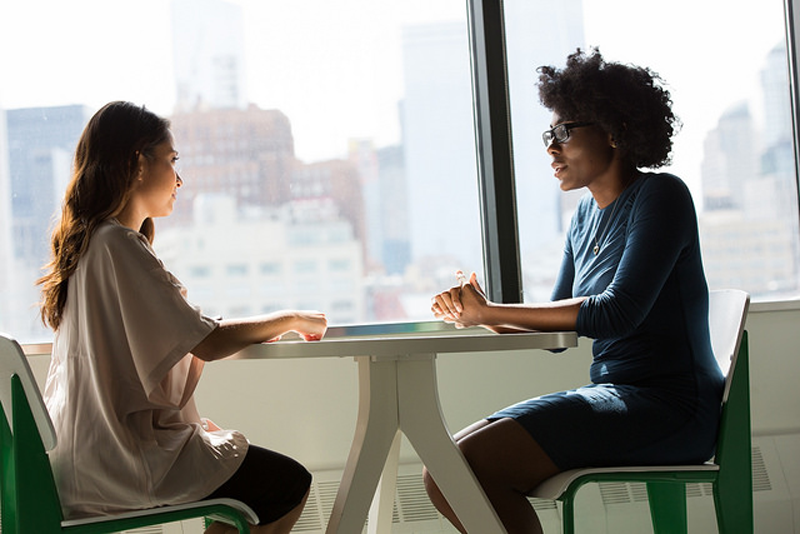 These questions will help you guide the conversation, and by the end of the interview, you will probably know whether this is someone suitable to your team. Many vets conducting interviews aren’t sure what to say at this point. They use clichés like “tight­knit team,” and “loyal client base” and “modern equipment.” This really doesn’t mean anything. What the applicant really wants to find out is whether they can see themselves working with you. So instead of trying to sell your practice, tell them about yourself. Give a brief synopsis of your career, your special interests, why you opened the practice. You can even talk about your life outside the practice! I know — I can hear gasps as you read this. This one also seems to terrify some interviewers. What do you say? It’s just a regular vet tech role. Will I get to do cool stuff? Tell them what your vet techs (or whatever position they’re applying for) do ­ do they draw blood, run labs, place catheters etc? What will my hours be? Will I be expected to work on weekends? Is there any on­call work? When do I start? Finally, ask the applicant if they have any questions. Simple, right? Instead of talking about your “tight­knit team” and “modern equipment” — show them. Do a quick 10-minute tour of the practice. This will spark further conversation about the equipment they may have used, cases they may have seen or even people they’ve worked with. It’s a small industry — on more than one occasion I have had the applicant recognize a team member they have worked with in the past. This is the simplest interview method you can follow — it ensures you are prepared (which is half the battle), it’s conversational and it follows a format that’s easy to replicate with any position and any applicant. Practicing one method of interviewing will help build your confidence.